Zimbabwe has attracted over $3 billion foreign direct investment (FDI) in the past seven weeks, President Mnangagwa has said. 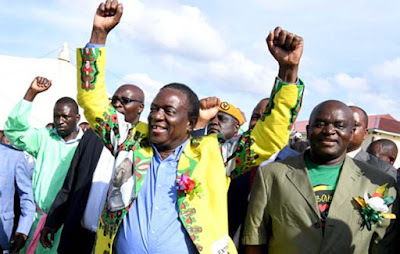 Addressing thousands of Zanu-PF supporters from four districts of Mashonaland Central Province at Siyalima Primary School here yesterday at his inaugural provincial rally, the President said it was no longer business as usual and the country should move forward and create jobs. The bumper crowd was drawn from Guruve, Mazowe, Muzarabani and Mbire districts. “We have secured more than $3bn in foreign direct investment in just seven weeks. We want this country to move forward. We want jobs for our children. For a start, we are addressing the production levels of agriculture where we are modernising all forms of production. We will move into modernising the processing chain. President Mnangagwa urged all people staying around water bodies to embrace irrigation development. “In his budget presentation last year, Minister of Finance and Economic Development, Cde Patrick Chinamasa announced that Government will be sponsoring the development of 200 hectares under irrigation and there is no going back on that issue. “When we were flying here, we realised that there are so many underutilised water bodies in this province and these should be fully utilised. Those staying around water bodies should embrace irrigation development and failure to do so they should move away and pave way for those who want to add value to agriculture development,” he said. President Mnangagwa said this year’s Command Agriculture Programme did not do well after being sabotaged by the G40 cabal following its resounding success last year. “Following the resounding success of the Command Agriculture Programme, its detractors moved in and threw spanners in the works. They delayed in securing inputs, but from now onwards be rest assured that all inputs will be availed on time. I deliberately appointed Cde Perrance Shiri as the Agriculture Minister because of his proven track record as a hands-on person,” he said. He said they had launched fishery and fruit tree projects in the province as part of empowering villagers.